The endowment fund launched its first call on 30 April 2017, with a deadline for the submission of applications of 31 May 2017. The call was for projects in which Prague is shown as Prague (i.e. not as a stand-in), intended for foreign distribution in cinemas or on foreign TV stations, and whose filming began in the period from 1 January 2016 to 30 June 2017. A total of 18 applications were filed. “We’ve selected projects that present Prague as an attractive city. Due to the great interest of applicants, we plan to announce another call this year, and we’re also considering increasing the total amount to CZK 20 million next year,” said Eliška Kaplický Fuchsová, chairwoman of the Culture, Heritage, Expositions, Tourism and Foreign Relations Committee of the Prague City Assembly (ZHMP), and a member of the endowment fund’s Administrative Board. “One of the supported projects, the Indian film Jab Harry met Sejal, premiered at the beginning of August. It has all the makings of becoming a Bollywood blockbuster and surely will attract Indian visitors to Prague, as many like to go to the places where their favorite stars have been shooting. The trailer and movie clips have tens of millions views on YouTube. It’s no wonder – the lead role is played by the king of Bollywood, Shah Rukh Khan, one of the world’s most successful actors. His latest film, Raees, has reached more than 5,000 screens around the world,” said Ludmila Claussová, chairwoman of the endowment fund’s Administrative Board. Jab Harry Met Sejal (translated as How Harry met Sejal) by director Imtiaz Ali and one of India’s largest production and distribution companies, Red Chillies Entertainment, is a romantic love story with aspects of a road movie. It was filmed in Prague during August and September 2016 under the title The Ring. The story is embedded in contemporary Europe, with the central character Harry working as guide for Indian tourists. Prague has a significant position in the film and and is portrayed as a city of love and romance. 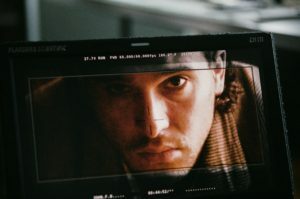 “We’re delighted to be able to combine the name of the endowment fund with the young Canadian director Xavier Dolan’s film The Death and Life of John F. Donovan. Each of his new films automatically becomes an event. Simply linking Prague to the film of such a renowned and internationally recognized filmmaker is a matter of prestige and has great marketing potential,” Claussová said. The 28-year-old Canadian has already directed seven feature films, which have regularly featured in the competition sections of the most prestigious film festivals and won awards around the world. “The genre and theme of Xavier Dolan’s new film seems well suited to promoting Prague as a cultural and film destination. The Czech capital frequently hosts foreign film productions, and at the center of the action here is a successful young actor now filming a movie in Prague, which is great,” Claussová added. film Ein Sommer in Prag (A Summer in Prague) – the Czech capital also plays a prominent role. As for the French film Tout le monde debout, its marketing and distribution focuses on the popular French actor and comedianr Franck Dubosc, who is the central personality of the film. He wrote the script, plays the starring title role, and is making his directorial debut. The Prague scenes in the film were shot in late June 2017. The worldwide film distribution is provided by the renowned Gaumont company, with its releases set for spring 2018. The television film Ein Sommer in Prag takes place almost exclusively in Prague and was filmed here last August. It aired this year on the Austrian station ORF2 on 31 May and on ZDF on 4 June.